Should Canada Deport Juana Tejada? 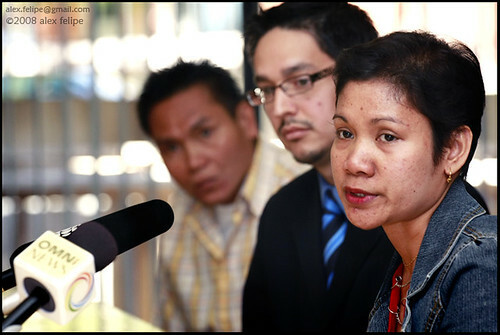 Canada is going to deport a Toronto-based Filipina live in caregiver because she has cancer. She completed all the requirements of the live-in caregiver program, but when she underwent the manditory health check that comes with applying for permanent residency they discovered she had cancer. This discovery prompted the order for her to leave Canada. 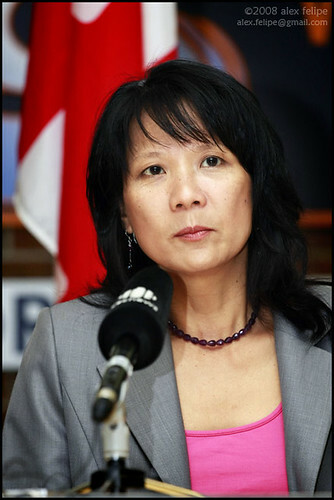 As one Citizenship and Immigration Canada (CIC) officer put it: “While I am sympathetic to your situation, I am not satisfied that these circumstances justify granting an exemption…. In the opinion of a medical officer, this health condition might reasonably be expected to cause excessive demand on health and social services.” In otherwords, her cancer would cost Canadians too much money. 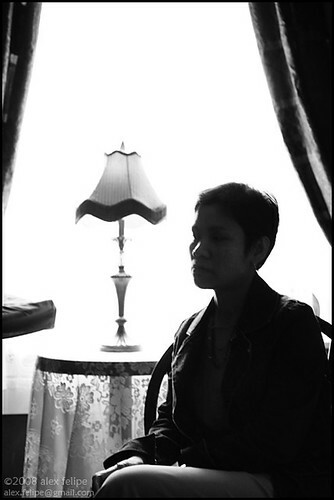 Juana Tejada, a Filipina caregiver stricken with stage 4 cancer, may pay the ultimate price to keep Canada’s government-sponsored medical system out of the reach of foreign workers, if the recent Toronto Star poll taken June 9 is any indication. Of 4,459 respondents, 61% said that foreign workers like Tejada should be denied permanent residence if they are sick. Only 30% voted against denying foreign workers permanent status due to sickness. Without permanent residency status, foreign workers like Juana cannot avail of OHIP or similar government health plans. Tejada served as a nanny in Alberta after her arrival in Canada in 2003. Her application for an open work permit and permanent residency status in 2006 was denied by an Alberta immigration officer after medical tests indicated she had metastatic colon cancer. According to the ruling, her health condition “might reasonably be expected to cause excessive demand on health and social services”. But for her medical condition, Juana would have received permanent residency status, having completed the 3 years required service as a caregiver under the Federal Live-In Caregiver Program. She has been twice denied permanent immigrant status, however, and was recently ordered by immigration officials to leave the country by August 8, a decision that some say is inhumane and tantamount to a death sentence. Tejada is currently receiving disability pay but she and her visiting husband do not have OHIP coverage. She has been denied OHIP coverage due to her medical condition. Juana pays for her own prescription drugs with the financial support of friends and members of her church. Out of compassion, doctors at Princess Margaret are providing medical services to Juana for free. Of course I have my opinion about this case (and the LCP program in general), but I’d love to hear back from you guys. What do you know about the Live in Caregiver Program? Have you had a chance to talk to those girls (and some guys) that you see in the parks with White kids? And what do you think about this case in specific? There was a press conference about Juana’s case yesterday (Friday 20 June). It was decently attended. 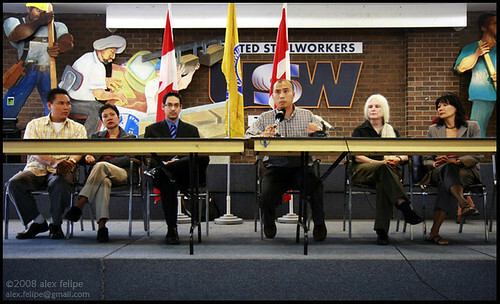 Olivia Chow, the United Steelworkers, Kairos, and Migrante-Ontario were speakers (among the panel with Juana, her husband, and their lawyer). She has received a decent amout of press coverage. 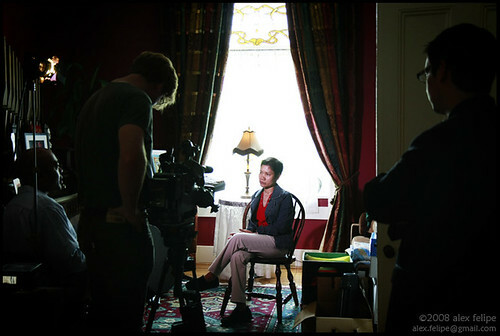 The Star had a piece on her last week, and today she was interviewed by Global and CBC. Her husband, pictured above, arrived in Canada a few months ago (after she found out she had cancer). They were married in 2000, and soon after she left to be a caregiver in Hong Kong. From HK, she came directly to Toronto. He lamented to me that this was the first time they’ve been together since they were married and now she’s being dying and may be deported. If you would like to sign the petition to keep Juana in Canada CLICK HERE. There is also a rally in support of Juana on Friday 27 June @ 4pm in front of Citizenship & Immigration Canada’s office (CIC), 5343 Dundas St West, near Kipling Subway (across Subway parking lot). CLICK HERE for more info on facebook. ~ by alexfelipe on June 21, 2008.